Love You Lots is a Stampin Up set available only as a hostess gift. Worth hosting a party to get this set, if you ask me. So cute with the animals and sayings. Here are the four cards I made with this set. 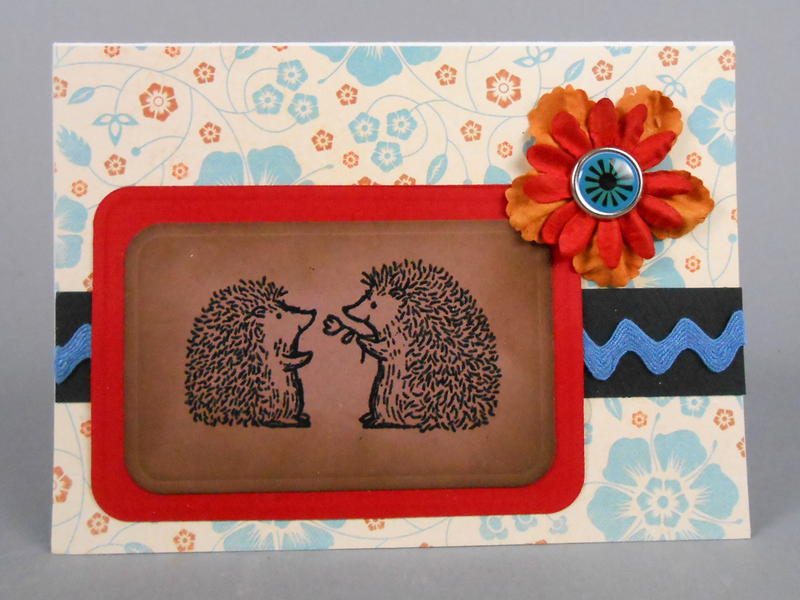 The adorable hedgehogs simply embossed onto brown cardstock and cut with Spellbinders nesting rectangles. 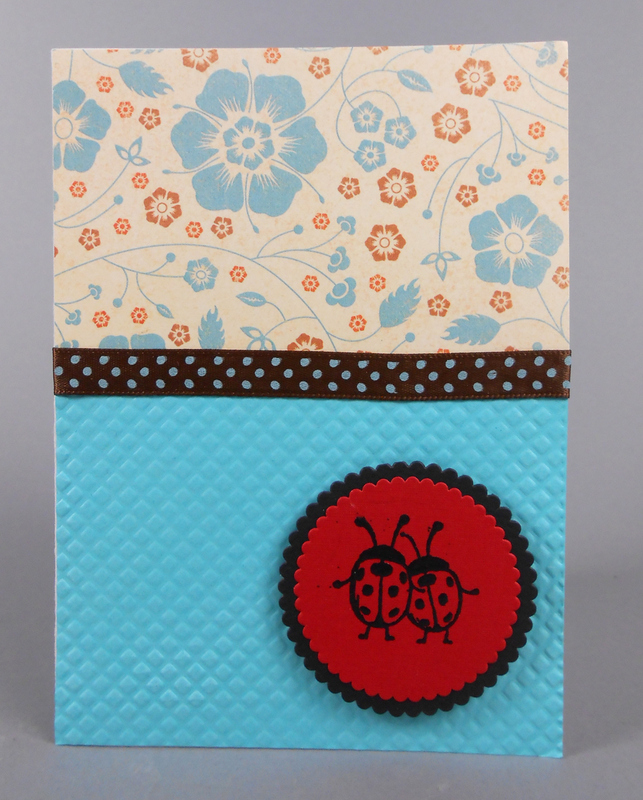 Ladybugs in love embossed in black on red cardstock.. Cut with Stampin Up scalloped nesting circles. 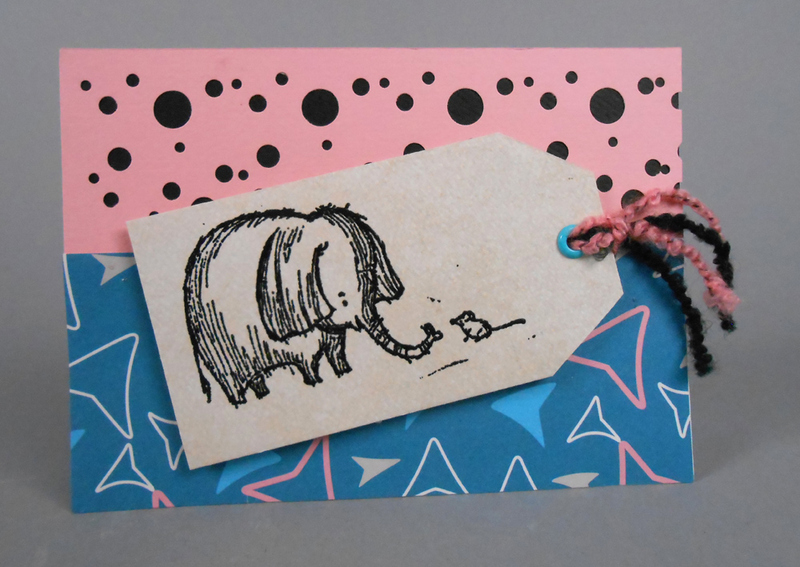 Elephant and mouse embossed in black on grey cardstock. Cut into tag shape and backed with funky patterned paper and the bubble punch edge by Creative Memories (pink mounted over black). 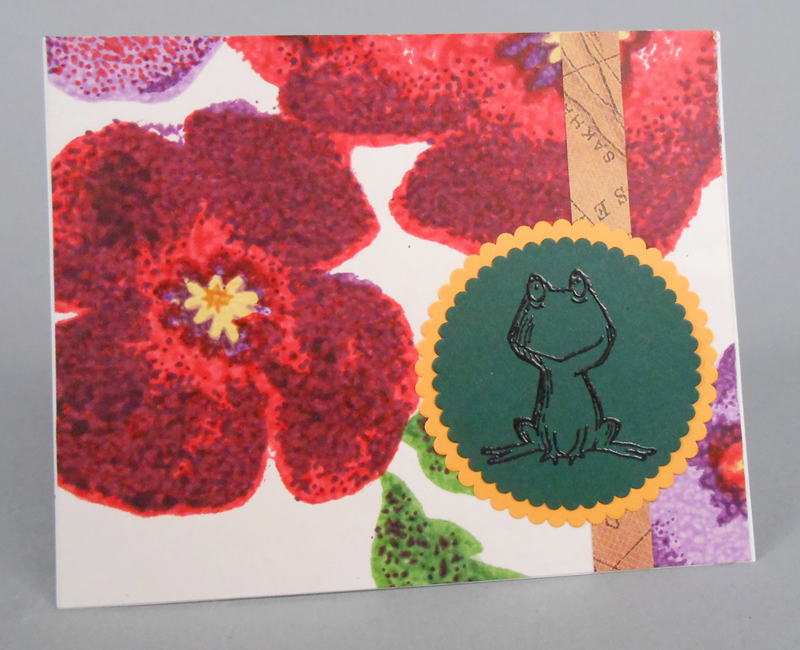 The frog embossed in black on green cardstock. Cut with the Stampin Up scalloped nesting circles and laid over patterned papers with oversize flowers.